WordPress is the most commonly used open source content management system (CMS) that powers more than 26 million websites, or almost one third of the entire internet. It powers some huge brands’ websites, such as NASA, BBC America, Disney, Sony, TechCrunch, Time Magazine and many more. It’s also considered to be the most SEO-friendly CMS of them all, and there’s a huge number of WordPress plugins that can make it even more efficient in this respect. Firstly, let’s see what you should expect from an SEO-focused plugin and have a quick overview of the few basic criteria upon which you can choose the right ones. What should I look for in WordPress plugins? When it comes to improving your SEO with a plugin, there’s several qualities that you should focus on when deciding which ones to use. First of all, you need to make sure that the plugins you installed don’t slow your website down, because that way you’re not just failing to improve your SEO, but you can even experience some negative effects on your rankings. Therefore, you have to make sure that plugins you use are well-developed and that the code is perfectly efficient, with no unnecessary entities that would ruin your website’s performance. That’s why it also makes a lot of sense to install plugins that are versatile and multi-functional, as downloading a separate plugin for every important SEO feature could put some unnecessary burden on your site. This strategy also helps to avoid compatibility problems – the more plugins you install, the bigger chance of incompatibility between them. Compatibility problems can also be prevented with regular updates, so you need to make sure that the plugins you have to provide such a service. It’s important that the plugin is carefully and continually maintained so that new bugs don’t put your website at risk. Here you should try to rely on other users’ experiences and mistakes. Hence looking at reviews and ratings before downloading anything is always a good idea. It’s not a 100% reliable method, but it’s a good start. WordPress is such a huge enterprise that it offers more than 55,000 plugins developed for this CMS, and this number is growing every day. They are developed by top WordPress website design companies, developer teams, SEO firms and independent individuals. It’s impossible to cover the entire landscape of WordPress plugins in a single post, but it’s possible to single out some of the best ones, at least when it comes to those that primarily deal with SEO issues. Here’s a list of 10 plugins that can help you with optimizing your WordPress website for various search engines. Another good source of plugins is Codester. Yoast SEO is the single most popular WordPress SEO Plugin, with over 5 million downloads so far. There’s a free version available, but the premium version does offer some additional conveniences, such as optimization for multiple keywords. Probably the biggest advantage of Yoast SEO is that it’s extremely comprehensive and multi-faceted. It can be very handy as it can easily do the job of many different plugins, perform a complete SEO page analysis and award an appropriate score for each page. Furthermore, it’s a rather easy one to use and it’s comprehensible for novice users, yet not too primitive for experts. The traffic-light color system used for different SEO indicators is understandable to everyone. Yoast SEO can create a sitemap and link up your website with both Google and Bing Webmaster console. Among other things it can do, there’s integration of social media, checking content for length as well as handling your redirections and alt tags. It’s got thousands of reviews and is generally considered one of the most reliable plugins out there. Unlike the previous one, Redirection belongs to the group of WordPress plugins that are narrowly-focused and used to handle one specific task. Obviously, in this case it’s redirections and redirection-related issues. This plugin can be very useful when you decide to migrate pages to a new website but want to retain the authority, backlinks and other important SEO aspects. It can follow 404 errors and map them to 301 redirects as well as ensure a URL is passed to another page without much hassle. This plugin also gives you access to all the redirection-related data, so you can easily keep track of when and where the redirections have happened. Broken links can hurt your SEO both directly and indirectly, especially if those links are internal. Hence this is something that has to be regularly checked. Broken Link Checker is a free plugin that finds broken links for you and notifies you right away. Then you can choose to edit or remove these links without actually having to edit the post at all. Apart from that, it does some other useful things, like not allowing search engines to follow broken links, as well as detecting missing images and redirects. However, it can get quite heavy and slow your server down, which is why it’s blocked by some hosting providers. This is the second most popular free plugin, being topped only by Yoast. And much like Yoast, All in One SEO Pack is multi-functional and covers many areas that are important for your SEO. It’s slightly less user-friendly though, but still perfectly suitable for beginners. Some of the features offered by this plugin are XML sitemap, automatic optimization of titles and whole pages for all search engines and an automatic generation of meta tags. It’s also up-to-date with mobile optimization and supports Accelerated Mobile Pages. Slow page loading does not just hurt your SEO, it can also destroy your traffic and make your bounce rate skyrocket. Namely, 40 percent of users are not ready to wait for more than three seconds for a page to load. And one of the most common reasons for a slow website is the fact that the uploaded images have not been optimized well enough. Smush Image Compression and Optimization plugin can compress all the images on your website so that you don’t have to do that manually. Compressing or resizing the images can significantly increase page speed and provide a much better experience for your visitors. One of the most important advantages of WP Meta SEO is that it’s accessible to both beginners and experts, the former not finding it too cryptic and the latter not finding it too basic. It is one of the WordPress plugins that keeps you up-to-date with the current status of the most important SEO parameters for your website. Among other important features, it offers to create XML and HTML sitemaps, and there’s an option to import metadata from Yoast, the most prominent name in the industry. Finally, the biggest advantage is the bulk processing feature, which enables you to improve some of the SEO-related factors across the entire website in just a few clicks. You simply select the content and the image size and WP Meta SEO does the rest for you. SEO Squirrly is both human and robot-friendly, which means both user satisfaction and high search engine rankings. With this plugin, you’ll get weekly reports on how you’re performing when it comes to all crucial SEO statistics. This includes the results of a keyword research, where it recommends the keywords you should focus on in order to gain some traffic. It even offers real-time advice on optimization while you’re writing or editing an article. 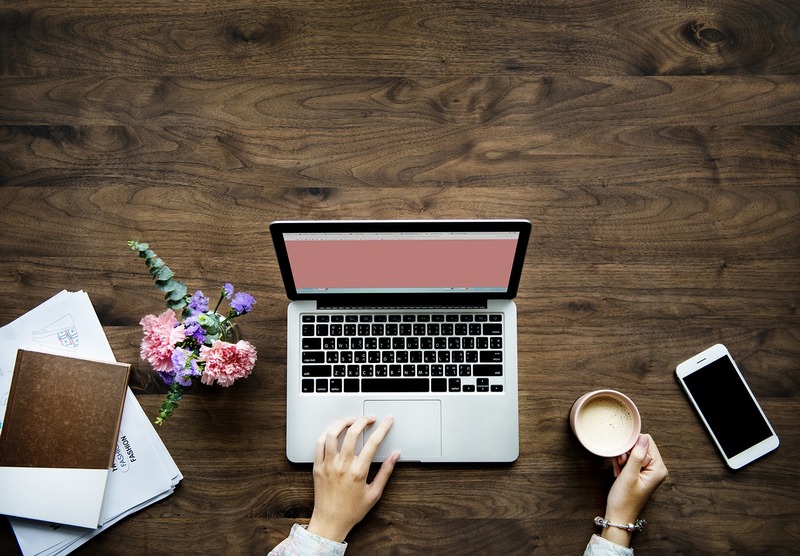 Among other things, SEO Squirrly creates an XML sitemap for your site, helps you write top-quality copy and supplies you with images that are free of copyright. This is a plugin that helps you generate a brief summary of what your website is about. This summary is shown whenever the site appears in the search engine results. It’s just a quick overview of what you are and what you do, together with your rating and an image of your choice. This improves your CTR and your search engine rankings. All in One Schema.org Rich Snippets also helps with some Facebook-related issues – namely, it ensures that the right info is presented to users every time someone shares a link from your website. The last of the WordPress plugins we’ll look into is Rankie. Rankie is basically a plugin that checks rank of your website for every relevant keyword and sends you reports on this every day. These reports are also sent to you on a monthly and annual level. Rankie generates ranking graphs for all of the crucial keywords and delivers a list of suggested keywords based on the existing ones. Finally, it provides you with a log that allows you to check each and every action the plugin has performed. Never underestimate the importance of SEO for your website. Good SEO is one of the most efficient ways of gaining organic traffic and ultimately getting your site to be really visible. WordPress is the best CMS you can use for this purpose and plugins can give you some additional help with optimization. If you’re avoiding to deal with this because you consider yourself not to be IT-minded, that’s no excuse. Most of these plugins are easy to understand and handle, even for beginners. Therefore, if you have a WordPress website, check what you’re missing in your SEO efforts, do a little research on what you can do about it and try changing it for the better with the clever use of appropriate plugins. Meaghan is a web designer who is also quite passionate about digital marketing. These days she is all about researching various IT related topics and collaborating with other bloggers. When she is not working she enjoys dancing classical ballet. Undoubtedly, Google has proved a game-changer for the online business owners so far. In August 2015, it came with a big update at the same time changing the history of local searches. This update proved highly beneficial both for the users and SEO experts. With the update in Google maps, SEO experts started experiencing a difference in the way the local search was being made. The difference appeared in the form of three prime business listings in place of seven that used to rule in previous searches. We can understand it better with an example, suppose you find “the best salon” on Google, then Google maps list will appear after paid business advertisements. And, Google will show the local salons that fall near to the searched locations with contact and address details. In this way, local businesses will reap the benefits of locating this on Google maps. You add targeted town or city on the landing page title of Google My Business. Ensure that your GMB contains consistent, relevant and accurate information. Primary categories of Google My Business should remain consistent with the product so that it presents a wider search category. The listed location must be verified by business owner. It is great to incorporate contact details on the site to assist the customers to reach you. Along with this, you should map the relevant information regarding the directions to the business address using the Google maps. Apart from the business location, linking important information such as hours of operation, links to a phone call, driving direction, etc. proves to be a beneficial approach. In case, you are running a business in varied locations, then you should design several pages and work on optimizing them for the particular locations. NAP stands for the name, address and phone number of a particular business. Make sure that you include the working one on the website and manage the similar one everywhere. Remember, none takes interest in your business and places orders until he talks to you. Google secures you in top 3, if you integrate real NAP. Conduct page optimization on the basis of local keywords that rule in the search paradigm. Sort out the most searched keywords by users around you and start content creation as per the specific business location. If you own a domain name having the location, then this will prove helpful in enhancing the popularity of your business. For instance, noidacakes.com brings better result as compared to onlinecakes.com. Like other searches, localized searches also require effective content to earn rankings under local search results. 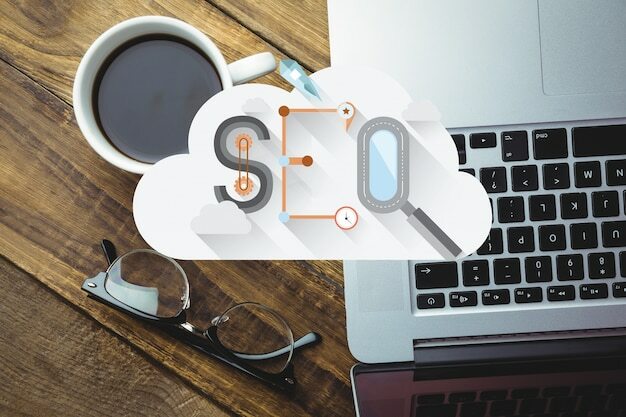 Get unique content written and amalgamate it with both online and offline SEO tactics to attain 3 pack result in rankings. Search engine takes customers’ reviews seriously in terms of offering top ranking to your business. And, many customers read these reviews to reach your business. So, provide quality products and services to your customers and encourage them to give the best reviews. Keywords based on the location in inbound links’ anchor text to the domain. Inbound links diversity to the domain. In short, you should implement the modest SEO tips along with well-known SEO strategies. In return, you will be able to rev up your website’s ranking using Google maps in local SEO. David Meyer is an SEO and SMM expert at CSSChopper, PSD to HTML Company. Owning a great hold on web marketing tactics, he serves the audience with informative write-up frequently. When not writing, he is found experimenting with something new from on-page. Any business will understand the effort required to grow their online presence and achieve first page Google rankings, which makes it rather disheartening to learn that an office move to a new location can rock this. In this blog, find out how to adjust your local SEO after an office move. Unfortunately, there isn’t a secret formula to immunize your business against a ripple with your local SEO rankings if you choose to change your address. Google views an office move as it would a new business listing, so it’s no surprise some businesses choose to keep the old details and add a ‘we have moved’ page to their, in order to avoid losing SEO rankings. If like us, accuracy and consistency are your bags, updating your details after an office move is an answer. This may mean having to rebuild some of your local SEO power, but there are few tips and tricks you can put in place to help you. First, let’s look at the importance of NAP Protocols. When looking at where to rank you in the local results pages, Google looks at your website and other listings, such as Google + and Google Places listings to cross-references key information, such as NAP (name, address, phone number). The NAP should match wherever you are listed. Having a local address to the proximity of the user searching is of course important, but if there is a discrepancy in your NAP databetween your site and your online listings, this could result in Google not ranking you at all because discrepancies hinder Google’s ability to trust the data they have gathered about your business, online sources. NAP matching is an important activity to undertake when moving your office if you want to rebuild your SEO efficiently. A good start is adjusting your Google Places and Google + listings. Since these are branches of the Google powerhouse, these listings will be the first sources scanned when the search engine is matching your data, so it’s a no-brainer. Once you have adjusted your Google listings, it’s time to find where else you are listed. You may have an organized listed of citations to work through. If not, you can find your existing citations in Google and Google Maps using search parameters such as (“01303 123456” -yourdomain.co.uk) so you can log back in and change them. NAP protocols covered, you may also want to consider consistency across any directions pages. If any directions pages to your old office exist online, adjust them to show directions to your new location. Ensure this is matched on all your citations. Websites can be found in the search results more easily by implementing the proper schema markup. This enables you to include microdata about your businesses location, open hours and contact details. Although the data isn’t shown on the website, it exists in the code and it can be managed easily via your websites admin system easily. Pushed for time? You can clean your listings in one go using the Moz Local portal. It’s also a handy tool for checking your current localized visibility. It’s not cheap, but it saves a lot of time and resources. Some marketers believe that having traffic from a broad range of sources sends a strong quality signal to Google and that includes email signatures any digital stationary such as PDFs and white papers. This point is arguable, but in any case, it’s good practice to have consistency across all of your digital listings and material, for accuracy. Chris Surridge is an experienced digital marketing director with a wealth of knowledge on search marketing strategies and conversion analysis. As well as his many years as an SEO professional, the value he brings is in strategic planning for client accounts and his consultative services in helping businesses grow. He is the marketing director for Whitefish Marketing, a Kent based SEO agency, and manages a team of highly experienced digital professionals.